We examine in depth your Physical Inner Aspect and Field (the body), as well as your energetic System of Foundation. Welcome to Workshop One of the ONA Workshop Series. In this workshop, we will study Foundation, the first principle of ONA and the principle that underlies your Physical Field and Inner Aspect (the physical body), and System One. All about your first System, Field and Inner Aspect. 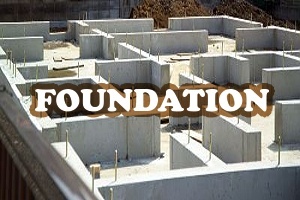 Now, what does "Foundation" mean in terms of your life? Essentially, it refers to the basis on which you survive. Do you have a house, a car, a job? Food on the table? If so, your System One is in good shape. If you have to answer "no" to any of those (and it isn&apos;t because of a lifestyle choice to live in a cave or tent), then your System One may need some adjusting. This workshop&apos;s breathing technique helps give you a sense of yourself as the expanded being you truly are. This workshop&apos;s breathing technique helps give you a sense of yourself as the expanded being you truly are. It will help you become aware of energy as it presents itself to you through each of your Fields and Systems, enabling you to maximize its potential. All about the color of Foundation (double-infrared, or brown if that&apos;s easier for you to picture). As you learned in Workshop Zero, each System has a color associated with it. By studying its color and that color&apos;s psychological effects, one can enhance one&apos;s understanding of the System. In addition, by working with that color, the System itself can be energized. The &apos;sound&apos; of Foundation and how to use it. In developing the ONA materials, we discovered there are sounds associated with each System, that embody and manifest the energies of that System. These sounds can be used during meditation, breathing, and healing to increase the effectiveness of these practices. The word initiation as used here means to begin, set going, or originate, to introduce oneself into the knowledge of some art or subject. It is traditional, when one embarks on a spiritual journey, that one be initiated into that school. However, in the traditional mystery schools, there is a "keeper of the mysteries" who must perform the initiation. In other words, one must receive permission to advance spiritually. How to perform energy therapy on oneself. Now that you have gone through the Workshop One material and given yourself your Initiation, you are ready to perform an ONA session on yourself. You may do this for purposes of healing (to ease a headache, or discomfort from arthritis or skin rashes, for example), for meditation, or even as a very mild stretching exercise. Here are not one, but several techniques with which you can use what you&apos;ve learned in System One as a sort of energetic first aid. There are several ways in which you can administer to yourself when your body has been injured or traumatized in any way. These we shall call Care Techniques for Self. They show you how to care for, and actually alleviate many physical problems for yourself.